Image: In 2010, an elderly relative of mine swallowed his partial denture, and it got stuck in his throat. 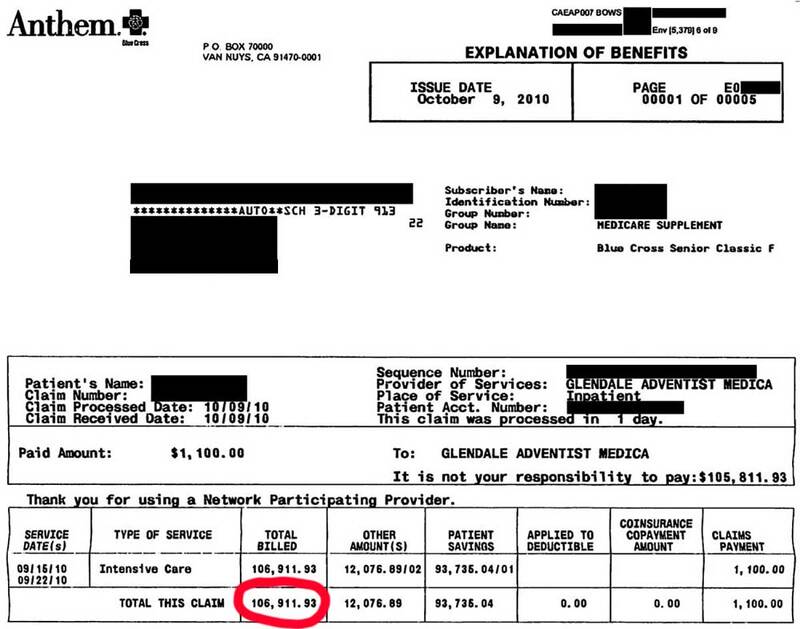 He spent eight days in the hospital and the bill was $106,911.93. Luckily, he had insurance.